MAHOGANY AT MILL LAKE ABBOTSFORD CONDO GRAND OPENING – March 26th! The wait is finally over and we are excited to announce that the official grand opening for the much anticipated Abbotsford Mahogany at Mill Lake condo tower will be March 26th, 2011! The georgeous new presentation centre called The Viewpoint will be open for preview. 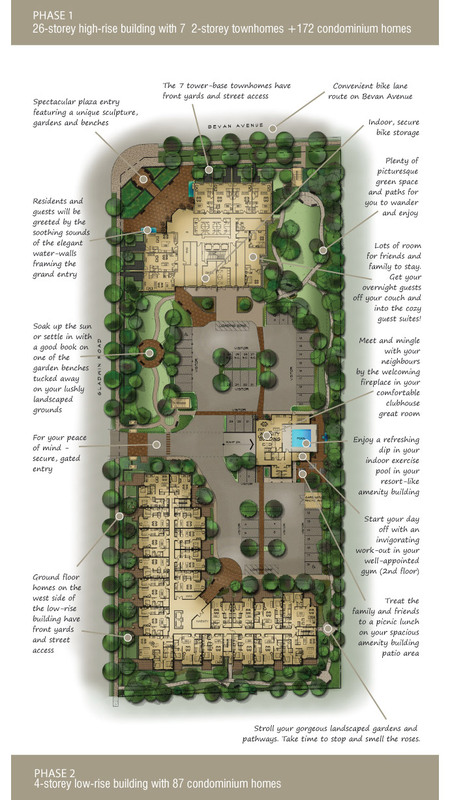 Be one of the first to purchase a pre-sale Abbotsford Mahogany condo from as low as $199,900! The location coupled with interior features such as geothermal heating and cooling make this the must see and must buy in the Abbotsford real estate market. The Mahogany Abbotsford condos for sale will have luxurious quality finishings throughout in addition to a central amenity recreational clubhouse. The high-rise tower will also offer homebuyer a fantastic view from all directions. At the grand opening event at the pre-sale Mahogany at Mill Lake Abbotsford condos, purchasers will get a FREE upgrade too – this can be a washer/dryer set or hardwood flooring! Festivities will start at 12pm noon with entertainment and refreshments and a ribbon cutting ceremony with the mayor. The Viewpoint at Mahogany at Mill Lake Abbotsford condos for sale is located at 2180 Gladwin Road Abbotsford. The newest update on the spectacular new Abbotsford condo development by Quantum Properties! Don’t miss out! 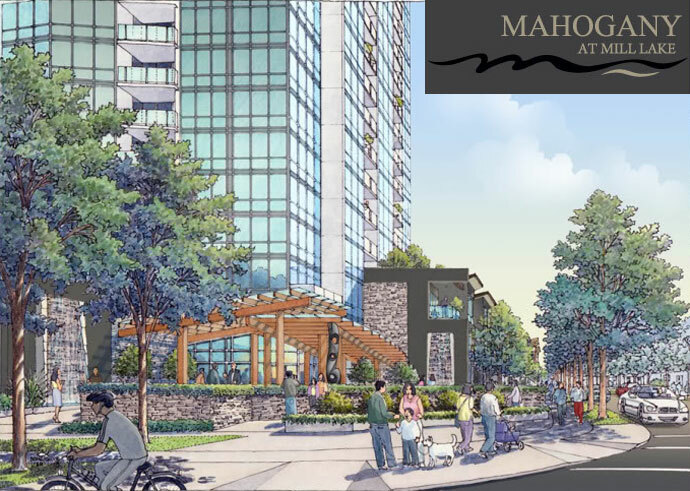 Last chance for advanced reservations this weekend for the presale Abbotsford Mahogany at Mill Lake condo tower! This weekend only – February 19 and 20 – is your final chance to reserve your new Mahogany at Mill Lake Abbotsford condo for sale before the official opening. If you haven’t pre-registered yet, stay tuned and read below for contact details because as a VIP guest, you are invited to join Quantum Properties for advanced viewing of this amazing Presentation Centre called The Viewpoint at Mahogany at Mill Lake Abbotsford real estate market. You can then select and reserved your preferred new home choice in advanced of the public grand opening. A reservation entitles you to the first opportunity to purchase the new Abbotsford condo for sale of your choice before general sales starts and to get in on some exciting homebuyer purchase incentives offered exclusively to VIP reservation holders only! If you are considering purchasing a new home at Mahogany Abbotsford condo tower, this is your last chance to take advantage of the advanced reservation opportunity you deserve and signed up for! The sales team is gearing up for a fun filled Mahogany Abbotsford condo grand opening event. Other details will be finalized by the grand opening. The Final Advance Reservation Opportunity is on now and starts Saturday and Sunday, February 19th and 20th from noon to 5pm at The Viewpoint Mahogany at Mill Lake Presentation Centre located at 2180 Gladwin Road, Abbotsford real estate market. Call 604.854.1201 or visit www.mahoganycondos.com today for more information. Presentation Centre Update – The Viewpoint. If you have been by the Mahogany at Mill Lake Abbotsford real estate development site recently, you will see that the fabulous presentation centre, The Viewpoint, is taking shape. Mahogany at Mill Lake is an exceptional Abbotsford real estate development and the developer will showcase a full 2 bedroom suite within The Viewpoint so you can experience the extraordinary quality that will typify a Mahogany Abbotsford condo for sale. They are working on creating a beautiful mix and match finishing packages and finalizing decisions on all of the luxurious and unique features that will make a new Mahogany Abbotsford condo for sale a home that you can enjoy living in. Good work takes time and with that in mind, the developer has decided to hold off on the official Mahogany on Mill Lake Abbotsford condo Grand Opening until early next year, 2011, while they perfect every last detail and make preparations to celebrate the new Mahogany Abbotsford condos for sale and the official launch with an exciting event. Prior to the official launch, the sales team will invite you to consider booking a reservation appointment, if you have not done so already. Reservations will entitle you to the first opportunity to purchase the Mahogany Abbotsford condos for sale of your choice when they become available during the presales event. If you are interested in booking a Mahogany Abbotsford presales condo appointment, please call 604.854.1201 today. $272,000 is now committed to a new Abbostford Canuck Place Children’s Hospice. Mahogany at Mill Lake Abbotsford condo tower will not only be the region’s tallest landmark building when it is completed in 2013, but it will also serve as a special link to the Abbotsford Canuck Place Children’s Hospice upon completion. On January 20th, Diane Delves, present and CEO of Quantum Properties, the developer of Mahogany on Mill Lake Abbotsford real estate development announced a $272,000 commitment to Canuck Place Hospice. The donation will put Mahogany at Mill Lake Abbotsford condos’ the Great Room at the $10 million, 10 bed pediatric palliative care facility. Delves commited $1,000 from the sale of each new presale Abbotsford Mahogany at Mill Lake condo (each of the 272 units for sale) at the 26 storey Mahogany at Mill Lake high-rise during a special event at The Viewpoint, its newly completed presentation centre on Gladwin Road just south of Bevan Avenue. This is an important addition to the Abbotsford real estate district. Canuck Place CEO expressed gratitude to Quantum Properties for their wonderful support. The 30,000 square foot Abbotsford Canuck Place Children’s Hospice is now under construction just down the street from the Mahogany at Mill Lake condo tower project site and will also feature five family suites and doubles the capacity of its Vancouver house on the Westside. It is part of three new hospice projects next to Abbotsford Regional Hospital collectively called Campus of Care. The Great Room at Canuck Place Abbotsford Children’s Hospice will have enough space for up to 30 people. It will be home like with comfortable furniture. While the finishing touches are applied to Canuck Place Abbotsford Children’s Hospice, work on the pedestrian friendly and luxurious Mahogany on Mill Lake Abbotsford real estate development project will be soon under way. Mahogany Abbotsford condos for sale is a nice, quiet residential neighbourhood, but it is also a very urban project in the heart of the growing city. The energy efficient Abbotsford condo landmark tower at Mahogany will be a two phased project that includes a four storey 87 unit low rise and seven townhouses too. The three acre new Abbotsford Mahogany condo project site property includes walking paths, gardens, seating areas, fountains, public art and an open plaza. The Mahogany Abbotsford condo high-rise when completed will appear to be completely encased in tinted glass. On both sides of the lobby entrance there will be a rock faced water wall framing mahogany leaf shaped canopies supported by rough fir timber posts. More information is coming soon! Mahogany at Mill Lake Approved! Special Update from May 2010! Quantum Properties is trhilled to announce that the City of Abbotsford has approved their Mahogany on Mill Lake Abbotsford real estate development proposal. With a 26 storey high-rise a 4 storey low rise and a freestanding recreation and fitness centre, this new Abbotsford Mahogany on Mill Lake project will provide luxury living while still being a model of sustainability with geothermal heating, energy efficient glazing and many other environmentally friendly condominium features that residents can reap the benefits for. Over the next few weeks and months, Quantum Properties will be finalizing the plans and constructing the new Abbotsford Mahogany at Mill Lake sales centre on the Mahogany condo site. Quantum Properties will keep you posted on the progress and anticipate a Mahogany Abbotsford condo sales launch sometime this Fall 2010. The team at Quantum Properties looks forward to constructing this landmark Abbotsford condo residential project in an unparalleled location with urban convenience, spectacular views and enjoyment of nature right at your doorstep! Stay tuned for more information regarding the pre-construction Abbotsford condos at Mahogany on Mill Lake by Quantum Properties. From geothermal heating and cooling to resort style freestanding clubhouse amenities and from a spectacular Mill Lake Park location to amazing panoramic views, the new Mahogany Abbotsford condos for sale will give homebuyers a new perspective on urban living in this growing municipality. The 26 storey Mahogany Abbotsford condo tower is the city’s tallest and will be located on a lushly landscaped three acre site. Spacious open plans and amazing landscaping throughout the property will give it a resort style feeling. Also, the amenities centre will give more onsite services and recreational space compared to any other new Abbotsford real estate development. From the cascading water feature to comfortable outdoor seating areas for entertainment, there is plenty to do at the new Mahogany Abbotsford condos for sale. Inside, the huge variety of Mahogany floorplans will leave homebuyers with plenty of choices. The first time homebuyers can choose from one bedroom suites that start from just $200’s. The new Abbotsford Mahogany at Mill Lake condos will also feature luxuriously appointed three bedroom and den penthouse suites that range from 2400 square feet of interior living space too. Plus, professionally designed colour palettes number 3 in total, giving homebuyers plenty to choose from. The Viewpoint Presentation Centre at Mahogany at Mill Lake Abbotsford condos for sale is stunning and features fully furnished spaces so that you can picture what it can be like to live here.